Many small and medium sized business do not require, and probably cannot afford to employ a marketing director. For business owners and MDs who know that they need strategic and tactical marketing support, working with a part-time marketing director can bring significant benefits. The flexible, cost-effective use of proven expertise can bring significant return on investment but it is important to get the most out of the approach. 1. Do your research. It goes without saying that it is important to choose a part-time marketing director whose background, expertise and approach fits with your business and vision, and is compatible with your organisational culture. Openness, trust and setting clear goals and expectations will be key to success, so ensuring you and your team can work happily and productively with you selected person is key. If your remit is your entire marketing programme, then a specialist PR professional is unlikely to be the best fit, so ensure the scope is clearly defined at the beginning. 2. Accept that there will be challenge and change. 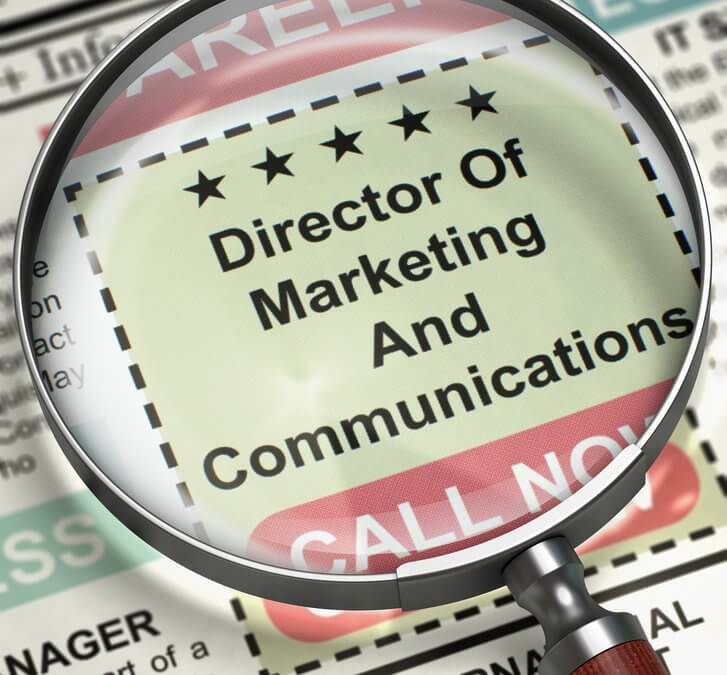 Bringing in a part-time marketing director is often a route to achieve, or accelerate, growth. To help you do this, they are almost certainly going to want to challenge elements of what you are currently doing and make changes. During the initial understanding and assessment of the business and its opportunities and challenges, they will often act as your “critical friend”, challenging your assumptions and why you have always done certain things. When the part-time marketing director proposes areas of improvement and the benefits that these will bring, accept and embrace these. 3. Engage with the process. The value of an outsider’s perspective on a business is a key reason for working with a part-time marketing director. However they are not a consultant, who enters a business for a period of time, writes a report and then leaves. They are an active-member of your management team, who will interact with your other team members and implement agreed marketing programmes to drive results. They will need support from other people to achieve this, and similarly will be able to provide valuable input into other areas of the business, as a senior professional. 4. Agree budget and resources. A part-time marketing director is a very valuable investment for many growing businesses, with transformational potential. However, they are not magicians, and in addition to the cost of their time, a marketing budget will need to be agreed for certain activities. Graphic design, exhibition space, advertising and events may all need to be considered, and the available budget allocated to maximise ROI. Making a small amount of an employee’s time available may provide a cost effective solution for the more administrative areas. Part-time marketing directors will be experienced in managing resources, so it is important to trust them to do so. 5. Don’t forget internal communications. Once you have worked together to define your value proposition, messaging and external marketing strategy, it is important to share these with your employees . Many will be great advocates of your business and brand, and will then be able to communicate enthusiastically and consistently with your customers, prospects and suppliers. Don’t underestimate the benefits of communications with family and friends either – you never know where your next new customer will hear about you. The relationship between business owners and their part-time marketing directors is quite unique as they bring challenge, enthusiasm, professional expertise and industry insight at a reasonable cost. Want to find out more about what this could do for your business? Please call Julie on 07833 227975 or contact us.